This egg shape cigar cutter makes the perfect, clean cut every time. Quality Round Steel & Wood cutters are able to fit in your pocket and feature a beautiful rosewood inlay and a stainless steel blade that is self sharpening. I wanted to purchase the Paleo burl wood cutter.Cigars International was the only site That carried it. It is too difficult to order from them. 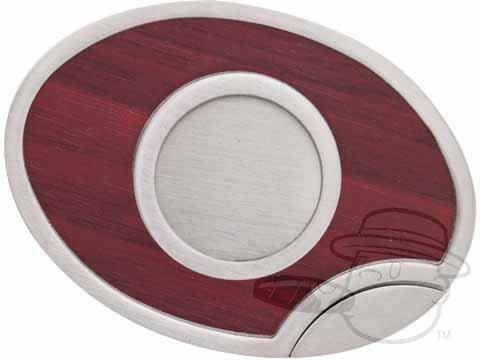 Quality Round Steel & Wood Cigar Cutter is rated 4.1 out of 5 based on 3 customer ratings. This will cut up to a 56 ring gauge cigar and has a flat blade style.